On March 24th the 5th IWGP US Champion, Juice Robinson will defend his title against Chase Owens! After Owens beat Juice in the 1st round of the New Japan Cup 2019, the Crown Jewel has been hounding the US Champion for a title shot. The match between the two on the first night of the cup was a rough and tumble affair, with Owens pulling out every trick in his book to get the better of his opponent. As the match wore on, the champ became more and more frustrated with his opponent’s tactics and started leaving openings, which the BULLET CLUB member capitalized upon. Following this, Chase Owens started shadowing Juice, regularly attacking him after each match, demanding a title shot. The champion for his part denied that he was avoiding such a match, but neither did he make any concrete plans to defend his championship. This culminated in a vicious incident after the March 17th event when Chase assaulted Juice with the belt itself and with the backing of Jado, continued his assault on him for a long time. 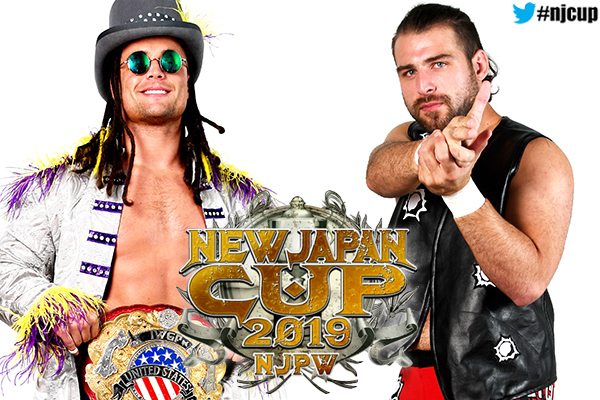 The match is now set for the New Japan Cup final on March 24th where Juice Robinson will attempt to successfully defend his championship for the second time.